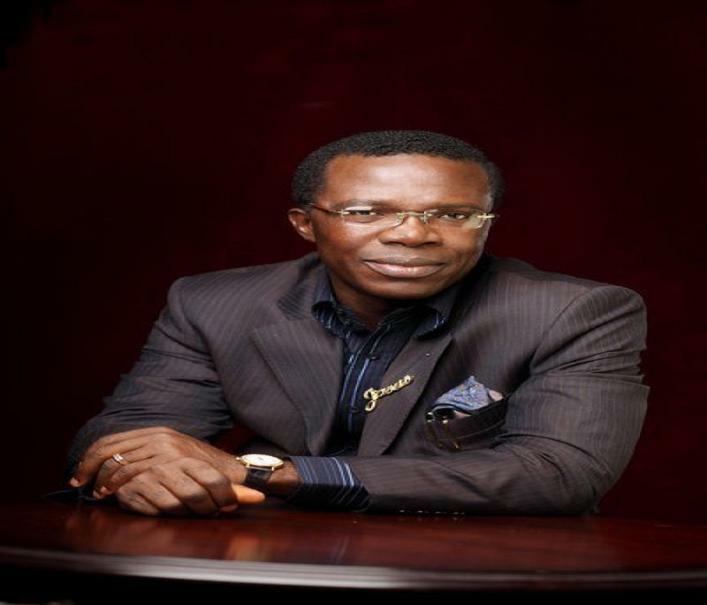 Dr. Cosmas Maduka is the founder, President/CEO of Coscharis Group. He started Coscharis Motors as a one-man business and over the years has transformed the organization into an indigenous conglomerate with diverse interest in Manufacturing, ICT, Petrochemical, Auto care and Auto Components, Automobile Sales and Services, Agric and Agro Allied business sectors of the Nigerian economy. Through his visionary leadership Coscharis Motors has secured sole franchise of BMW, MINI, Rolls Royce and Jaguar Land Rover premium brands and Abro USA Auto care and Consumer products amongst others. Coscharis is also a very strong partner for distribution of Ford brand of automobiles in Nigeria. He is currently serving on Board of many companies notable among them are CG-EKO LLP, First System Refinishes Ltd., CG Biostadt Limited, Sixt Rentals, Nigeria. He served as a Director in Access Bank Plc., one of the leading banks in Nigeria for 12 years from 2000-2012. He also served as the President/Chairman of the Nigerian Table Tennis Federation for 16 years during which Nigeria led Africa in all the events. He led the Nigerian Team to the Olympic Games; Atlanta '96, Athens 2000, Sidney 2004 and Beijing 2008. Dr. Cosmas Maduka is an Entrepreneur per Excellence. He is a motivational speaker and plays mentoring role to upcoming entrepreneurs. Dr. Maduka is a holder of Honorary Doctor of Business Administration (PhD) of University of Nigeria, Nsukka in 2003. He is an Alumnus of Harvard Business School (Executive Education Program). In September 2012, the President of the Federal Republic of Nigeria conferred him with the National Honours of the Commander of the Order of the Niger (CON). 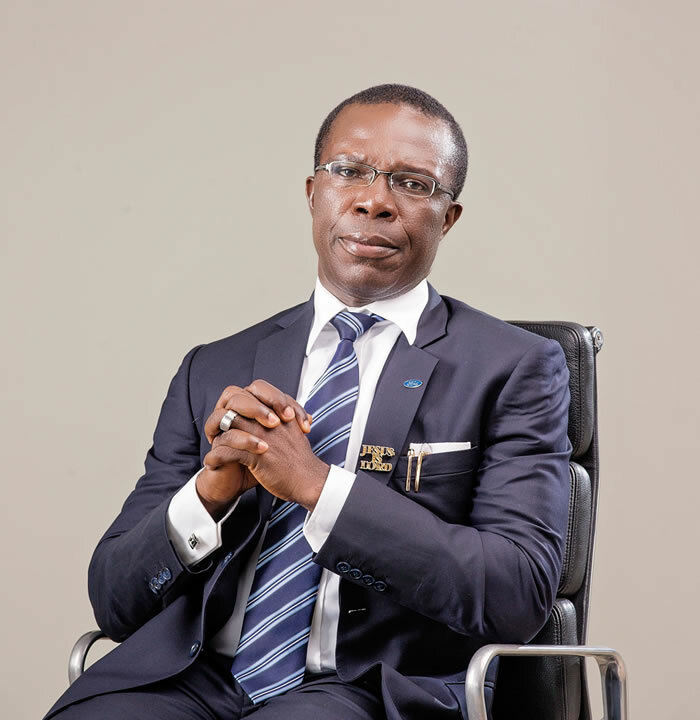 Watch the making of Coscharis Group CEO, Cosmas Maduka Forbes Africa cover story (November 2015 edition) and find out more about him.
" Cosmas Maduka joins Peace Hyde to talk about what he describes as his Worst Day in business ever." 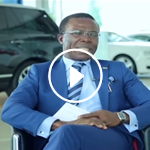 " Coscharis group CEO, Cosmas Maduka talks to CNN about growing his automotive business from the ground up." "We are committed to setting the bar high and establishing world-class best practices in Nigeria that every other industrialist will have to be judged by." How successful has Nigeria's automotive policy been? "Cosmas Maduka, Chairman of the Coscharis Group joins CNBC Africa for more." "This partnership will boost Nigeria's much needed march towards industrialisation." "Ahead of Nigeria's new automotive policy, which will take effect from 1 July this year, expectations remain mixed on the benefits expected to come with it. CNBC Africa caught up with Cosmas Maduka, Chairman and CEO of Coscharis group"
"Cosmas Maduka, thanked Governor Obiano for endorsing the partnership and stated that the project at full operation would provide 500 direct jobs and 2,000 indirect jobs and would extend to other parts of the state"
Dr. Cosmas Maduka is the founder, President/CEO of Coscharis Group. 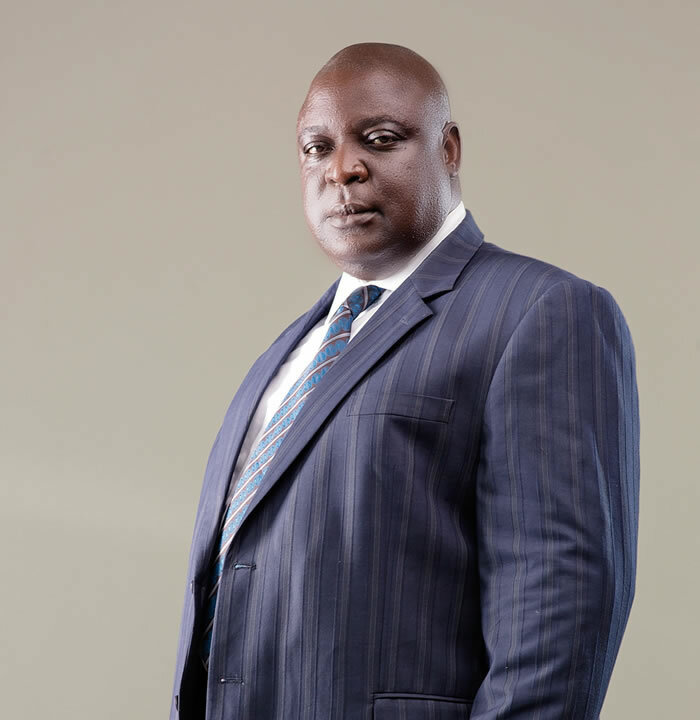 He started Coscharis Motors as a one-man business and over the years has transformed the organization into an indigenous conglomerate with diverse interest in Manufacturing, ICT, Petrochemical, Auto care and Auto Components, Automobile Sales and Services, Agric and Agro Allied business sectors of the Nigerian economy. Through his visionary leadership Coscharis Motors has secured sole franchise of BMW, MINI, Rolls Royce and Jaguar Land Rover premium brands and Abro USA Auto care and Consumer products amongst others. Coscharis is also a very strong partner for distribution of Ford brand of automobiles in Nigeria. He is currently serving on Board of many companies notable among them are CG-EKO LLP, First System Refinishes Ltd., CG Biostadt Limited, Sixt Rentals, Nigeria. 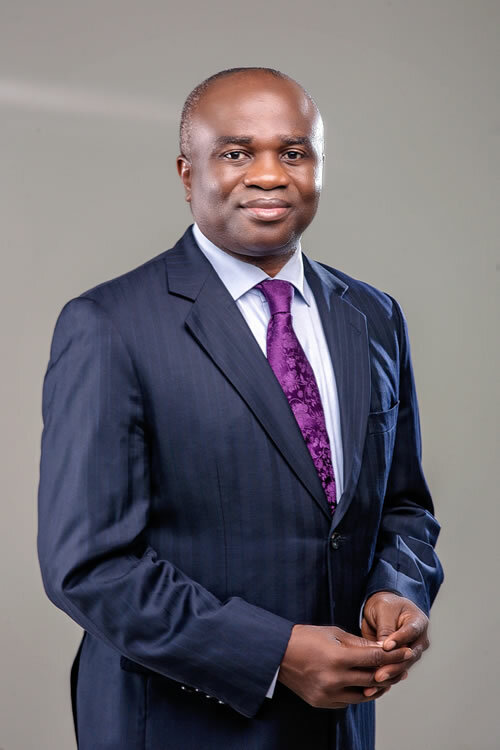 He served as a Director in Access Bank Plc., one of the leading banks in Nigeria for 12 years from 2000-2012. He also served as the President/Chairman of the Nigerian Table Tennis Federation for 16 years during which Nigeria led Africa in all the events. He led the Nigerian Team to the Olympic Games; Atlanta '96, Athens 2000, Sidney 2004 and Beijing 2008. Dr. Cosmas Maduka is an Entrepreneur per Excellence. He is a motivational speaker and plays mentoring role to upcoming entrepreneurs. Dr. Maduka is a holder of Honorary Doctor of Business Administration (PhD) of University of Nigeria, Nsukka in 2003. He is an Alumnus of Harvard Business School (Executive Education Program). In September 2012, the President of the Federal Republic of Nigeria conferred him with the National Honours of the Commander of the Order of the Niger (CON). Mr. Josiah Samuel joined Coscharis Group in 1993 as a Deputy General Manager and was appointed Group Managing Director in January 2003. Mr. Samuel played a pivotal role in the diversification of the Group's sphere of business from Spare Part merchandising to distributorship of Automobile and its Aftersales. Between 2001 and 2002 he set up an investment and consultancy company, Sure Comfort that he managed for 2 years. Mr. Samuel served as alternate Director and Director on the Board of Guardian Express Bank and Guardian Express Assurance Limited respectively. He led the acquisition of Syngenta by Coscharis Group and other investors leading to the transformation of the company to Swiss Biostadt where he serves as Vice-Chairman. Under his leadership, Coscharis Group recently acquired the franchise to solely represent Sixt GmbH & Co., which gave birth to Coscharis Mobility Limited, a subsidiary of the group; he also serves as Director on the board of Cowry Assets Management Ltd, Coscharis Ghana Ltd, Premium Fleet Ltd, Tulcan Energy Resources Ltd and CG-Eko LLP among other notable business concerns. Mr. Samuel holds an MBA in Technology Management and an advanced diploma in Management from Ogun State University and University of Lagos respectively; he received a Higher National Diploma Certificate in Banking and Finance from IMT Enugu. Mr. Samuel has attended many courses and training programs in Management, Marketing and Banking both locally and internationally in such organizations as American Express Bank, New York, Harvard Business School, U.S.A, Institute Of Directors, London, among others. He is a member; Institute of Bankers of Nigeria, Nigerian Institute of Management and the Institute Of Directors of Nigeria. He also served as member of Dealer Council, Ford Motor Company Export & Growth Market and Dealer Strategic Council, Jaguar and Land Rover Motor Company. He is very passionate on business development and he is a strategic thinker. Mr. Okey Nwuke is the Deputy Group Managing Director (DGMD) of Coscharis Motors. 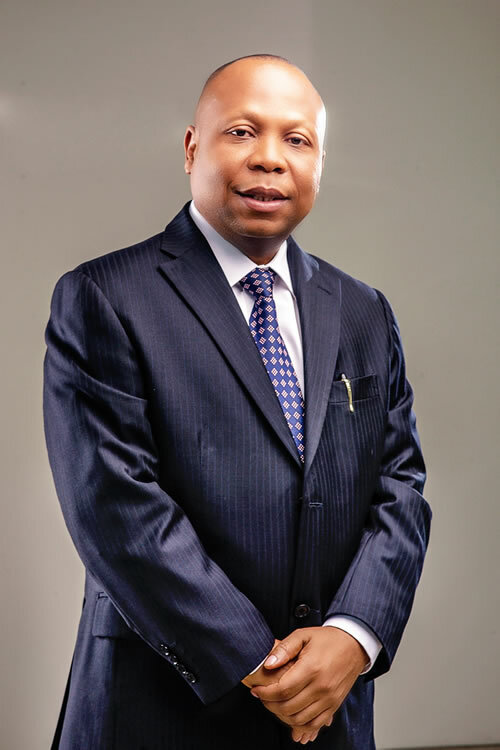 Prior to this Mr. Nwuke began his banking career with Guaranty Trust Bank in 1991, where he worked in several units of the bank and later rose to the position of Assistant General Manager, Commercial Banking Group East, before joining Access Bank Plc. in 2002 as General Manager. He was subsequently appointed as an Executive Director in Access Bank in 2004 and served in that position till December 2013 when he retired in line with his contract of employment. 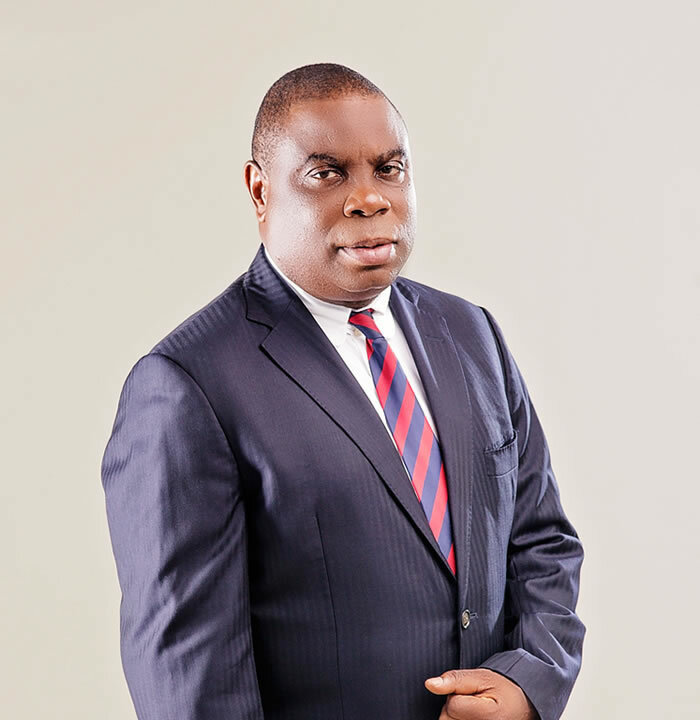 Mr. Nwuke served on the Board of Stanbic IBTC Pensions Managers Limited as a Non-Executive Director and as the Chairman of the Board of Directors of Access Bank's subsidiaries in Rwanda and Burundi. Mr. Nwuke holds a B.Sc. degree in Accountancy from University of Nigeria where he graduated as the best student in both the Department of Accountancy & Faculty of Business administration. He also holds an MBA (Distinction) in International Banking & Finance from the University of Birmingham, United Kingdom as a Chevening Scholar. 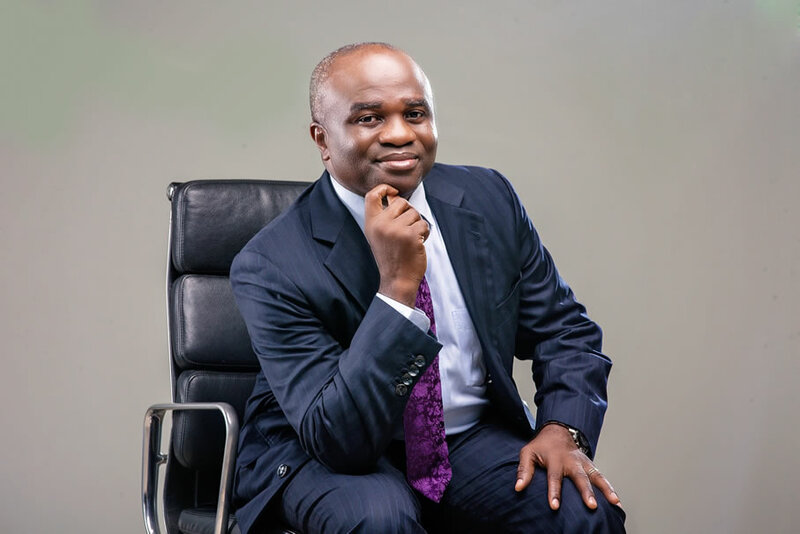 He is a Fellow of the Institute of Chartered Accountants of Nigeria (ICAN), an Associate of the Chartered Institute of Taxation; and an Honorary member of the Chartered Institute of Bankers of Nigeria (CIBN). 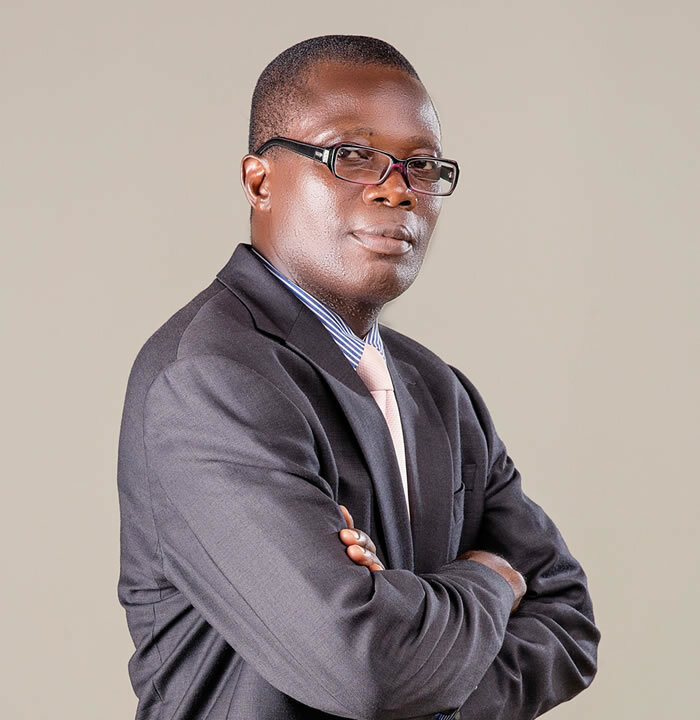 Mr. Nwuke is an Alumnus of several renowned global institutions of excellence including Harvard Business School, Boston & Wharton Business School, Pennsylvania (both in USA); INSEAD (Paris & Singapore); Institute of Management Development (IMD) in Lausanne Switzerland & Cranfield University in United Kingdom. Mr. Abiona Babarinde oversees the Marketing and Corporate Services teams of Coscharis Motors. 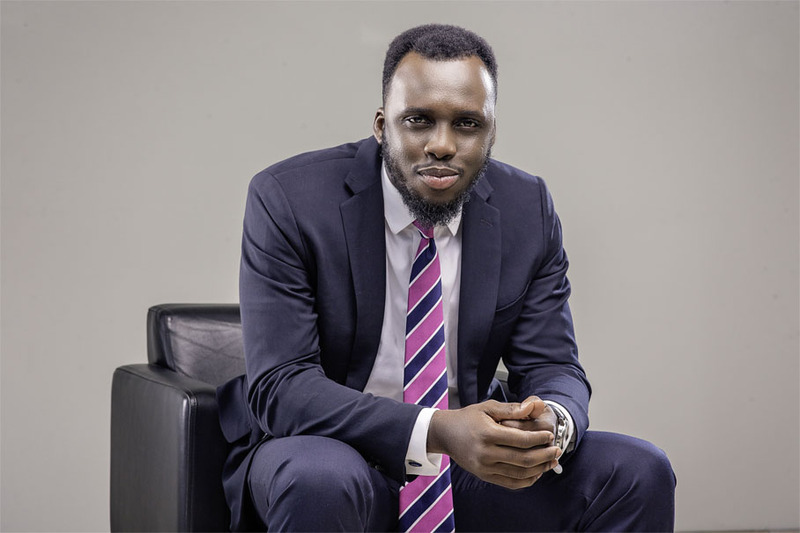 Before joining the Group, he was the Head, PR & Media Relations of Publicis Consultants | SoulComm; one of the leading integrated marketing communications firms in Nigeria affiliated to Saatchi & Saatchi global network of marketing communications agencies. He is a Sociology graduate of the University of Ilorin and also holds a Certificate in Advertising from Advertising Practitioners Council of Nigeria (APCON). He has for over 16 years garnered extensive experience in marketing, public / media relations, advertising, sponsorship, crisis and event management. Abiona has been part of teams that took brands like Guaranty Trust Bank, Access Bank, Standard Chartered Bank, Central Bank of Nigeria, Procter & Gamble, Polo Limited, Southern Sun Ikoyi Hotel amongst others to the next level of corporate / brand image rebranding. As a Manager, External Communications of Dunlop Nigeria Plc. he oversaw the overall Group's corporate communications' policies and programs. 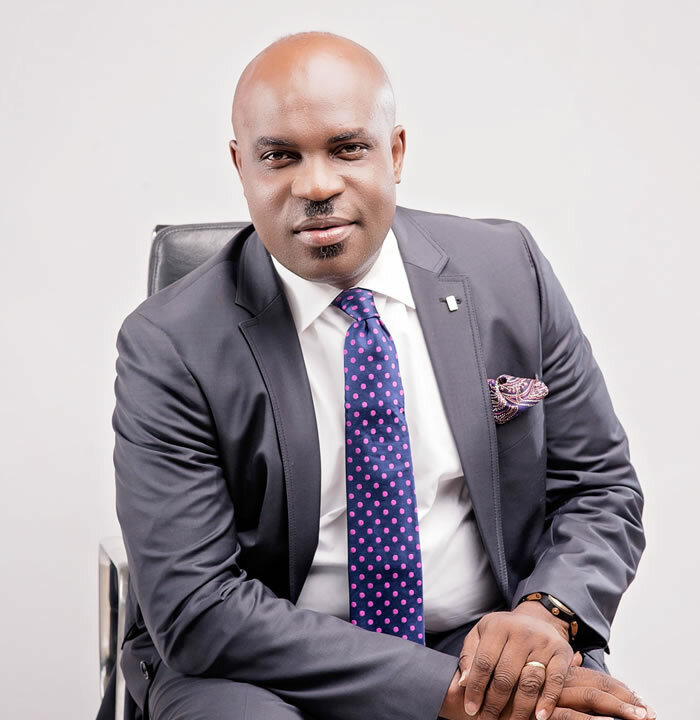 He is an Associate Member of Nigerian Institute of Management (NIM), member of Nigerian Institute of Public Relations (NIPR) to mention a few and in 2009 was reappointed the 2009 AGM Committee Chairman of Advertisers' Association of Nigeria (ADVAN). Mr. Babarinde is happily married with two boys. Ben has a wealth of experience in hardware and software installation implementation and support. Before joining Coscharis Motors, Ben had a successful working relationship with Apple computers as an Apple seed specializing in bootcamp. He also served as an AGM (Special Projects) in SystemSpecs Limited where he marketed, implemented and consulted financial accounting solutions for many companies in Nigeria such as Shell Petroleum development company, Nigeria National Petroleum Company, Michelin Nigeria, Addax Petroleum, Statoil, Elder Dempster Agencies, Guinness Nigeria plc. to name a few. Ben was educated in the University of Benin and has attended several specialized professional courses including a Senior Management program in the prestigious Lagos Business School. He has certificates in Administration and networking of Oracle and Microsoft SQL and Project Management from Learning Tree. Presently Ben serves as the General Manager, Information Technology in Coscharis Motors. Mr. Christian Chiemezuo Chigbundu is the General Manager/CEO of SIXT Nigeria – Coscharis Mobility Limited. He commenced his career in an auditing firm Spiropoulos, Adiele, Okpara & Co. now Grant Thornton International where he rose from audit trainee to audit supervisor. He also worked with Dele Odunowo & Co. A firm specialized in receivership/consultancy where he was involved in many receivership/consulting project of the company. Mr. Chigbundu later proceeded to C & I Leasing Plc. where he started as a Logistic Officer later moved to work as Financial accountant, Management accountant and as Head of Operation and accounts. He later rose to senior management position as Country Manager C & I Leasing Fleet Management (Hertz Franchisee). He has a Masters in Business Administration and is a chartered accountant. He has attended several local and international training including management training from Administrative College of India and Lagos Business School. Mr. Chigbundu is a leasing expert, a board member of Equipment Leasing Association of Nigeria. He is a Leasing Consultant and Fleet Management Trainer with over 10 years of Leasing & Logistic experience. He is married with children. 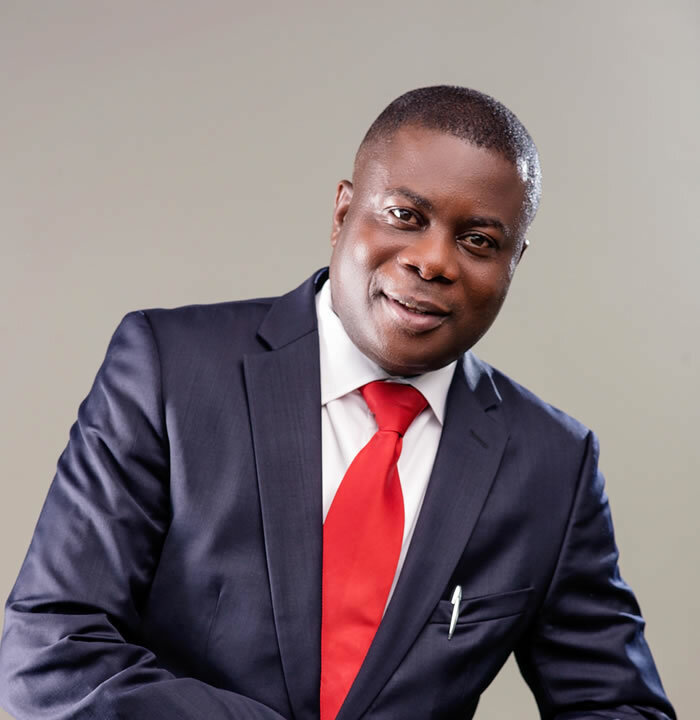 Mr. Cosmas Jr. Maduka joined Coscharis Motors as an Executive Director, Special Duties. He is a non-Executive Director of Coscharis Farms Limited. Prior to joining Coscharis in 2014, he acquired cogent experience in the banking industry right from his National Youth Service days with Zenith Bank in 2008/2009. At Zenith Bank he worked in the Credit Risk Management department gaining key understanding into the intricacies of banking and finance. His NYSC stint in Zenith was sandwiched between 2 periods at Access Bank as an intern in 2008 & Oct/Dec 2009 where he worked in the Economic Intelligence Desk and subsequently Financial Control department. Mr. Cosmas Jr. finished off his banking run with the Commercial Banking group of Guaranty Trust Bank May 2012 – October 2013. Mr. Cosmas Jr. obtained his BSc. in Economics from the University of Lagos, in 2007. He later proceeded to United Kingdom where he completed his Masters in International Business at HULT International Business School, London U.K in 2011. 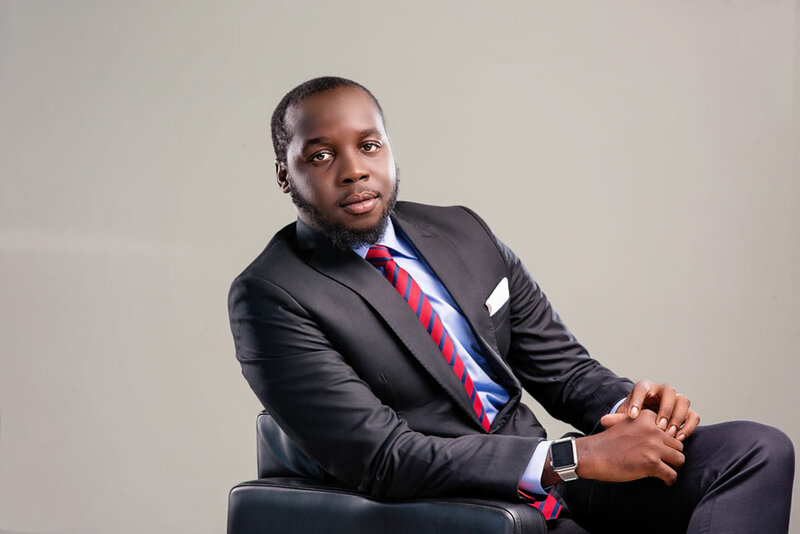 He is also an Alumnus of the Lagos Business School 2014. Mr. Daniel Pinkrah was appointed Executive Director, Supply Chain in November 2015. He oversees the offices of Import & commitment, ordering & delivery and logistics & operations. Mr. Pinkrah also oversees the operations of Coscharis Ghana Ltd. Prior to his appointment as Executive Director, he was the General Manager, Import & Commitment in Coscharis Motors. Mr. Pinkrah joined Coscharis Motors in 1995 and has held several posts at various stages of his career including Manager, Senior Manager, Assistant General Manager and Deputy General Manager. Mr. Pinkrah has over 20 years wealth of experience in the Nigerian Imports market. He also played a key role in the establishment of Coscharis Ghana Ltd. He has a Diploma in Accounting from the Institute of Professional Studies Accra, Ghana. Mr. Pinkrah has attended various courses and conferences overseas with focus on Import & Logistics and auto aftermarket. Mr. Godwin Umeaka is an Executive Director, Coscharis Motors and seconded to Coscharis Farms as the MD/COO. Prior to his appointment as Executive Director, Mr. Umeaka was the Group Financial Controller for 8 years and M.D, CG EKO LLP from February 2015. He joined Coscharis Motors as a General Manager and Financial Controller in charge of Auto Sales and Services divisions. Mr. Umeaka has 30 years versatile experience in academics, banking, consulting and real sector. Mr. Umeaka is an accomplished Banker and Financial Management expert, with more than 15 years banking experience. Prior to joining the banking industry, he had a stint in academics as a Lecturer in Accountancy at the University of Nigeria Enugu Campus. During his banking career, he held various top management positions such as Financial Controller, Divisional Director of Corporate Banking and Business Development, Divisional Director, Corporate Services. He has also held positions as Alternate Director in Hillcrest Merchant Bank Ltd and Executive Director of LAP/Anambra Foundation. Mr. Umeaka is a Chartered Accountant and a Fellow of the Institute of Chartered Accountants of Nigeria (FCA). He obtained his first degree in Accountancy from the University of Nigeria, Nsukka in 1985. He also holds an MBA in Finance and Banking. He is an Associate Member of both Institute of Taxation of Nigeria and Institute of Management Consultants. Mr. Umeaka has attended several local and off shore courses. He is a Certified Management Trainer. Mr. Innocent Udoye serves as the General Manager, Auto components and oversees all operations at the Coscharis Motors, Mega Branch, which houses operations ranging from Sales and Inventory management of product lines under the Auto care and Auto component division. Prior to this he was a dealer of motorcycle spare parts with 13 years experience. He underwent his apprenticeship in the motorcycle parts line of business with a company named P.N Osakwe & Co, Nnewi from 1966 immediately after his first School Leaving Certificate Examination, but was interrupted by Nigerian Civil war. In 1970, he continued the apprenticeship with the same company till 1983. Mr. Innocent Udoye joined Coscharis Motors Limited as a Branch Manager (Nnewi) from 1986 - 1993 after which he was transferred to Head Office, Lagos. He has held several positions at various stages of his career in Coscharis up to his present position of General Manager. Mr. Udoye is also a recipient of the Coscharis Long Service award. Mr. James Mogbo presently heads Product Development (Auto care Division 2) and Market Research. 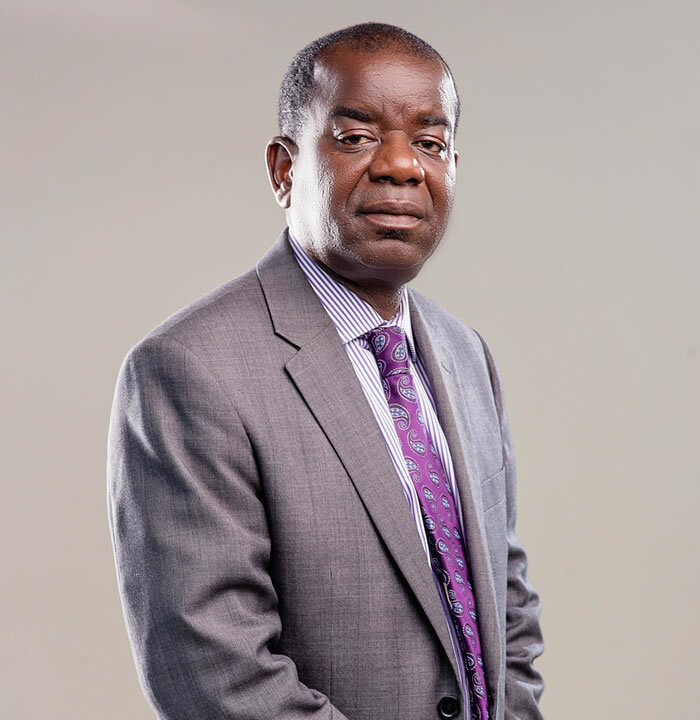 He has, at various stages of his career in Coscharis Motors, held positions ranging from Product line Manager for Abro, Air conditioners, tyres and batteries to Pioneer Head of Petrochemical Division that later transformed to Auto care Division, Head ASPANDA Unit, and General Manager of Coscharis Technologies Ltd. Mr. Mogbo is a 1978 graduate of Marketing of the University of Nigeria, Enugu Campus. He is a Fellow of the National Institute of Marketing of Nigeria (FNIMN) and member of the Board of Fellows of the Institute. Prior to joining Coscharis in July 1997, he had worked as Marketing Representative and Sales Accounts Manager, NCR Nig. Ltd, Marketing Accounts Manager, Compute-Rite Systems Ltd and Marketing Consultant, Canvest Nigeria Ltd. He is married with four children. Mr. Jonathan Maduka was appointed Executive Director in October 2014, where he is charged with assisting management in the reform and restructuring of businesses under Coscharis Motors Limited, drawing from his pool of fresh and innovative ideas. He is a graduate of University of Lagos with discipline in Economics 2009. Upon completion of his undergraduate studies, he joined Coscharis Motors under the tutelage of the President/Chairman, Dr. Cosmas Maduka undergoing management training involving inventory management, negotiation and strategic planning. Subsequent to this, he undertook Management consulting where he built his problem solving and analytical skills working with a team at PriceWaterhouseCoopers (PwC) in providing advisory services to various companies (2011 / 2012). 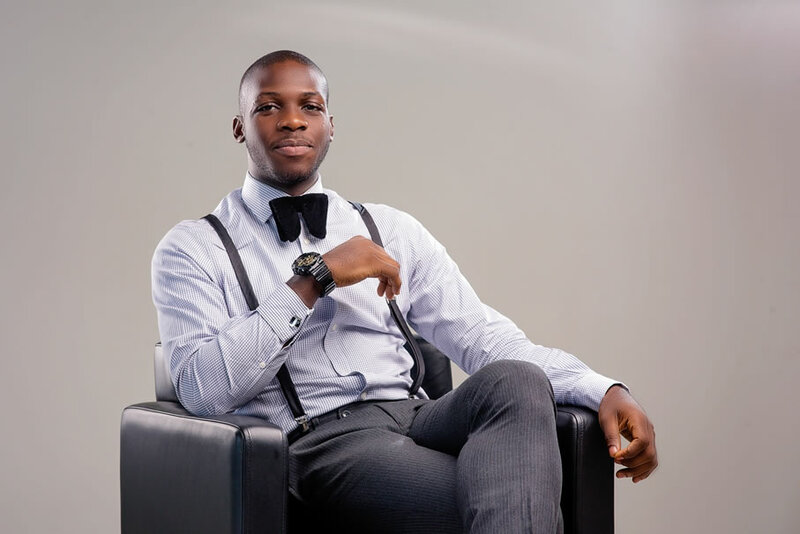 In August 2014, Jonathan acquired an MBA from HULT International Business School in Boston, Massachusetts. USA. Mr. Joseph Enechaziam is the Divisional General Manager, Corporate Sales and coordinates Regional Fleet Structure as well. 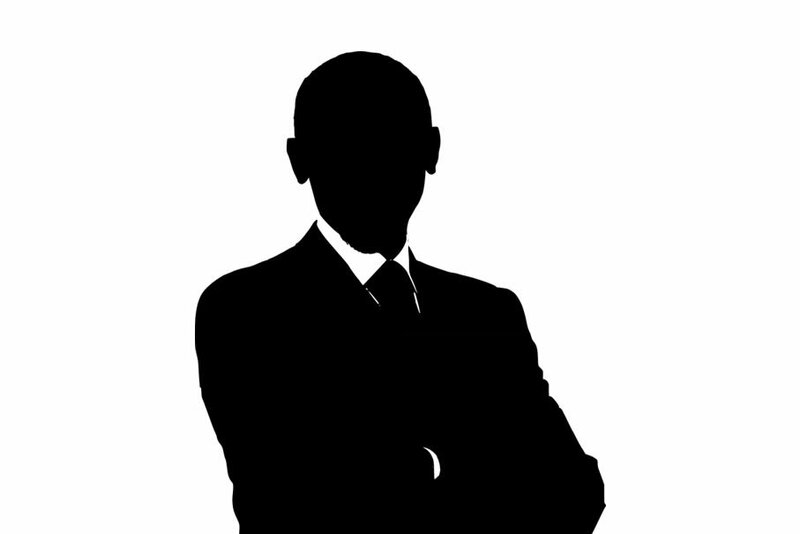 He is a consummate professional with two decades of banking experience garnered from Magnum Trust Bank (now Sterling Bank), Intercontinental Bank and Access Bank Plc. His experience spans banking operations, marketing, credit and financial analysis and relationship management. Prior to his appointment at Coscharis Motors, Mr. Enechaziam was Zonal Head for Commercial Banking at South West region of Access Bank Plc. He had also worked at Intercontinental Bank Plc. for about a decade during which period he held various key management positions as Area Business Executive and Regional Business Controller, South West. He graduated from Obafemi Awolowo University, Ile-Ife where he obtained his first degree in Agricultural Economics; and also obtained MBA from University of Lagos, in 1999. He became an associate member of Nigeria Institute of Management in 2003. He has attended many professional and executive management development programs in leading Business Schools. Mr. Ndubuisi Chito is the current Legal Adviser/Company Secretary. He holds a Bachelor of Law (LLB. Hons.) from the Anambra State University of Technology (now Nnamdi Azikiwe University) in 1990 and thereafter proceeded to the Nigeria Law School and was called to bar in 1991. He is a member of the Nigerian Bar Association. 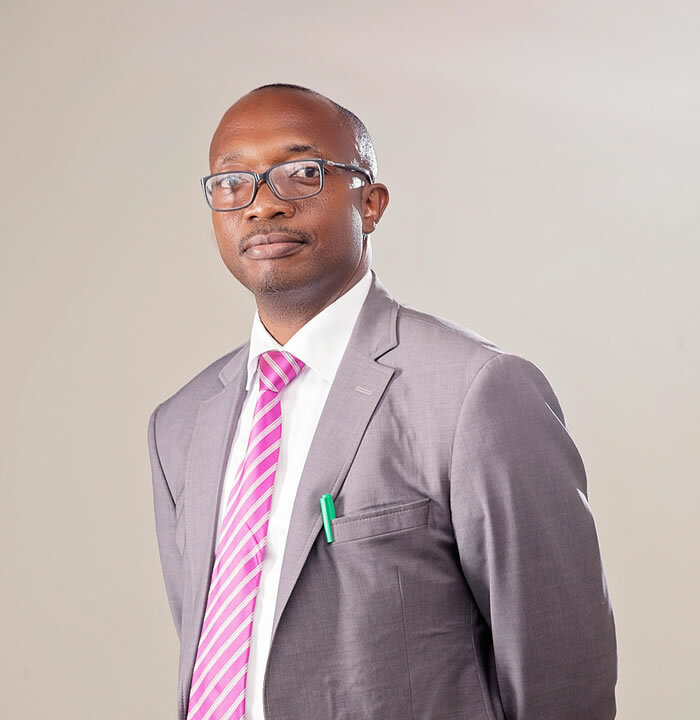 Mr. Ndubuisi Chito also holds Advanced certificate in Management Studies from Federal College of Education, Akoka in 2001 and a Master in International Law and Diplomacy (MILD) from the University of Lagos in 2005. Mr. Thomas attended Universities of Ilorin and Ibadan for first and second (Master in Personnel Psychology –MPP) degrees. He qualified as a member of the Chartered Institute of Personnel Management of Nigeria in 1989. Thomas is an accomplished HR professional with global exposure in best HR practices and has well over two decades experience in Human Resources and Administration at the top management level in the following indigenous conglomerate and multinational companies - Africa Regional Centre for Engineering Design and Manufacturing (ARCEDEM); Okin Biscuits Limited; Associated Match Industries (Nig.) Limited; A.G. Leventis Nig. Plc. and Dana Group Plc. In September 2014 Thomas joined Coscharis Motors as the Group Head, Management Services and currently leading HR innovations to drive the company to the next level. 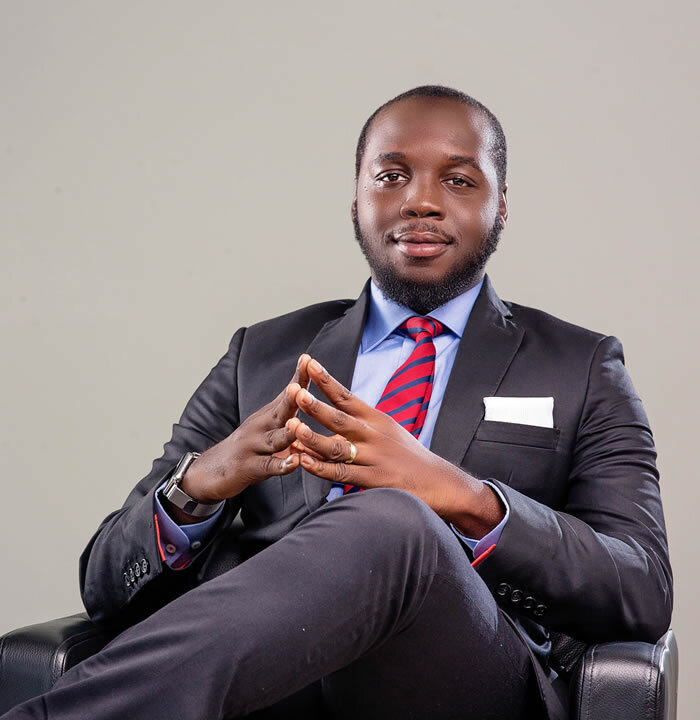 Mr. Peter K. Maduka joined Coscharis Motors in September 2013 as a Management trainee and underwent an induction program in the Auto Sales, After Sales, Auto Care and Auto Components Divisions. He acquired a Bachelor of Science, Telecommunications and Wireless Technologies at the American University of Nigeria in June 2013. 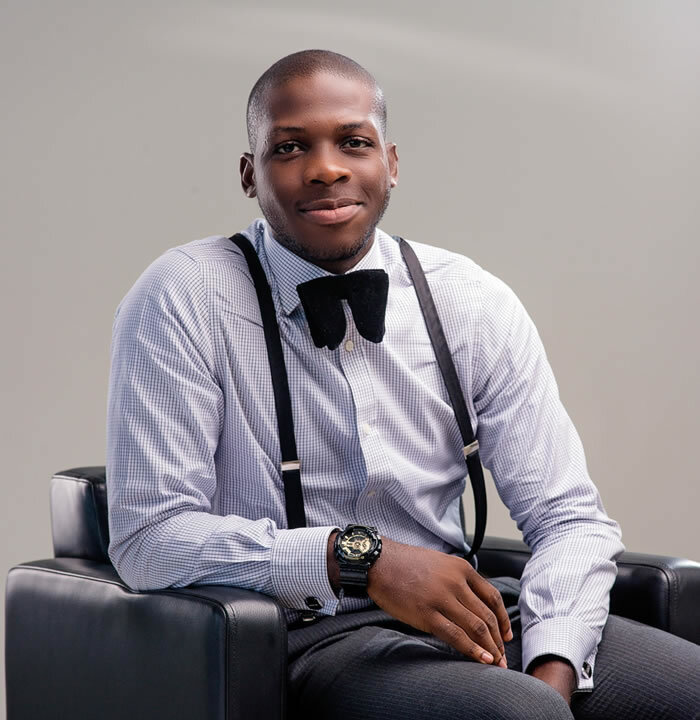 In November 2014, he got certified in Managerial Leadership in Sales and Marketing at the Lagos Business School. In 2015, Peter was appointed Non-Executive Director. He is currently the General Manager, Auto Care and Auto Components Division. Mr. R.O. Agbasionwe – Managing Director, Coscharis Ghana Ltd.
Mr. Raphael Odikpo Agbasionwe, was appointed the Managing Director of Coscharis Ghana Ltd in 2013. Before then he was the Divisional Head of the Auto Care and Consumer Products Division in Coscharis Motors and he greatly evolved the business of the Division, a feat that earned him the recommendation for the present position. Prior to joining Coscharis Motors in 2004, he worked as a National Sales & Marketing Manager for many years, Area Sales Manager, and Area Sales Representative among other positions in different companies and industries, including FMCG. He holds BSc and MSc Degrees in Marketing from University of Nigeria and University of Lagos; and has attended various professional, sales/marketing, and leadership trainings. Mr. Agbasionwe has over 20 years experience in Brand/ Consumer Marketing, Sales & Marketing Management, and General Management. He has strong leadership & negotiation skills; he is a team builder, result & customer oriented, and growth driven. He has a knack for business restructuring and new product development. He is widely traveled within Nigeria and Ghana, and has participated in many international trade shows in China, Germany and United States of America. He is a member of National Institute of Marketing of Nigeria (MNIMN). He is happily married with four children. Mr. Momoh, Shafi'i Yusuf holds a BSc. (First Class Honours) in Forensic Accounting, HND in Accounting, Masters in Finance and Investment, Associate Chartered Institute of Taxation of Nigeria and Fellow, Institute of Chartered Accountants of Nigeria (FCA). Mr. Shafi'i has over 17 years cognate experience with task, duties and responsibilities focusing on accountancy, auditing, performing risk assessment and special investigation. 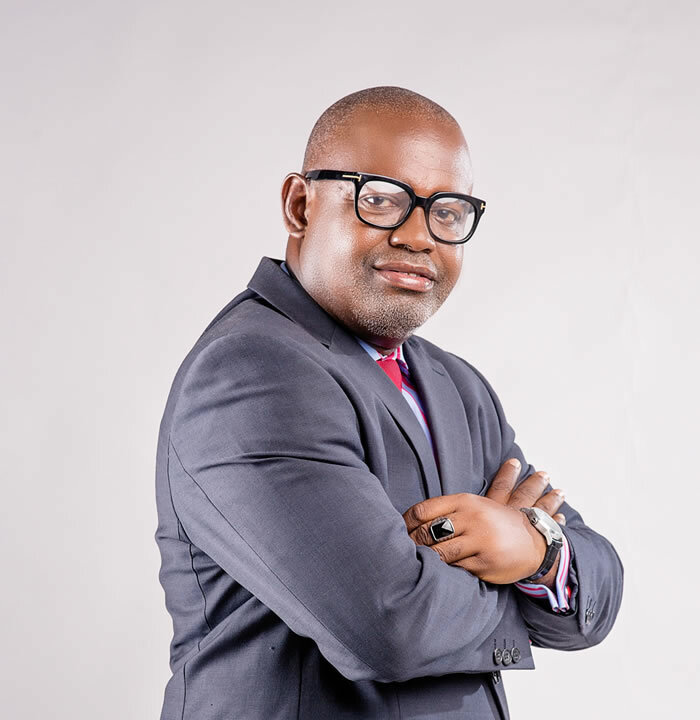 He started his career with two reputable firms; S. S. Afemeikhe & Co Chartered Accountants and later joined Deloitte. 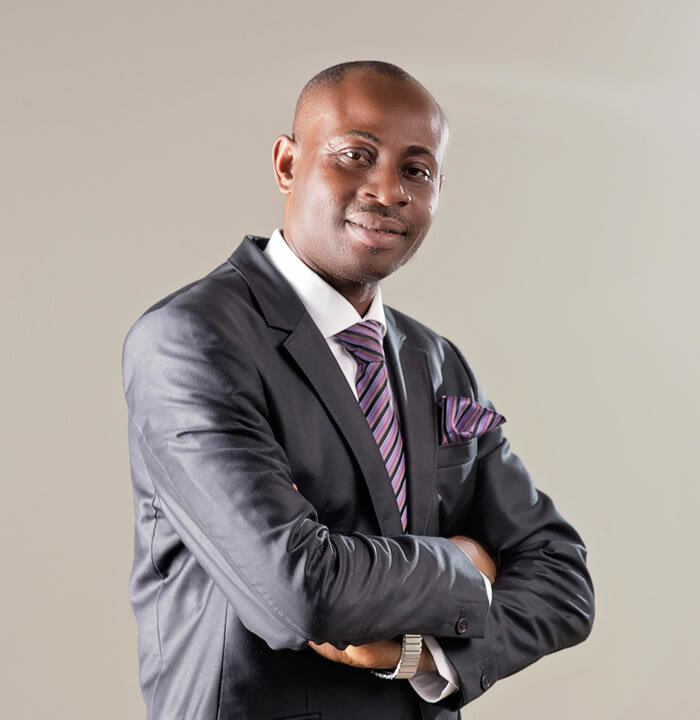 He has also worked in Access Bank and grew up to the position of Team Lead; Branch Control, FCT Abuja. Mr. Shafi'i is currently the Group Head, Internal Audit & Control in Coscharis Motors. Mr. Sola Adigun has a MBA in Marketing Management and postgraduate Diploma in Marketing from the prestigious Ladoke Akintola University of Technology, Ogbomosho and Kaduna State Polytechnic respectively. He passed the final professional Certificate in purchasing and supply (U.K) at the Kaduna Polytechnic. He is a Corporate member of Chartered Institute of Purchasing and supply of the United Kingdom and Nigeria. Mr. Adigun began his working career with Ahmadu Bello University Teaching Hospital (ABUTH) as a stores and supplies officer and worked with PromasIdor Nigeria Limited and Doyin Group of Companies. His last appointment was with Brightway International Limited as National Sales/Marketing Manager before joining Coscharis Motors Limited as Divisional General Manager (BMW). Mr. Adigun has attended various management and development courses both in Nigeria and abroad, which among others includes: Marketing of Services program at Maastricht School of Management, The Netherlands and Logistics and supply chain management course at Cranfield University, United Kingdom. 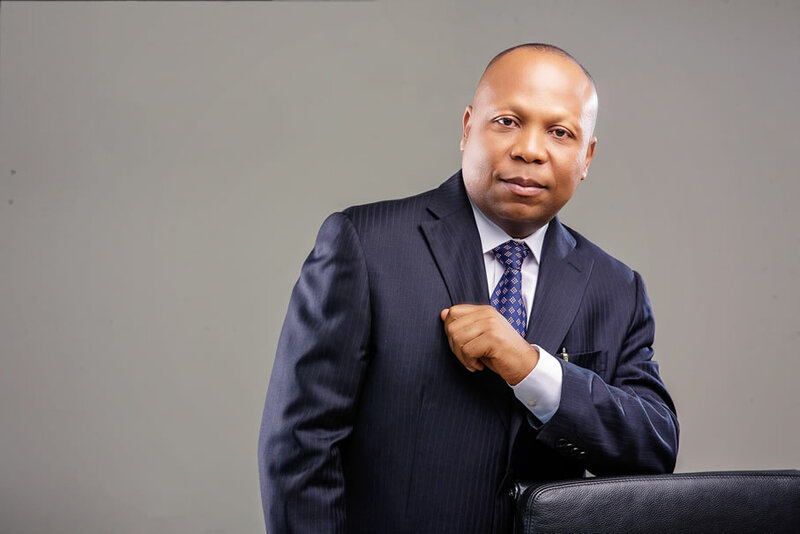 Currently Mr. Sola Adigun serves as the Group General Manager (BMW, MINI & Ford) with Coscharis Motors Limited. Mr. Emomine Sunday Mukoro is the MD of Coscharis Technologies. He is responsible for the strategic and operational leadership of Coscharis Technologies' global sales, marketing and services activities. He also oversees its corporate operations and internal Information Technology functions. Mr. Mukoro is a seasoned ICT technocrat with many years of valuable experience at management level in various ICT organizations; his unusual savvy for sales and undiluted management style has earned him an award of excellence. 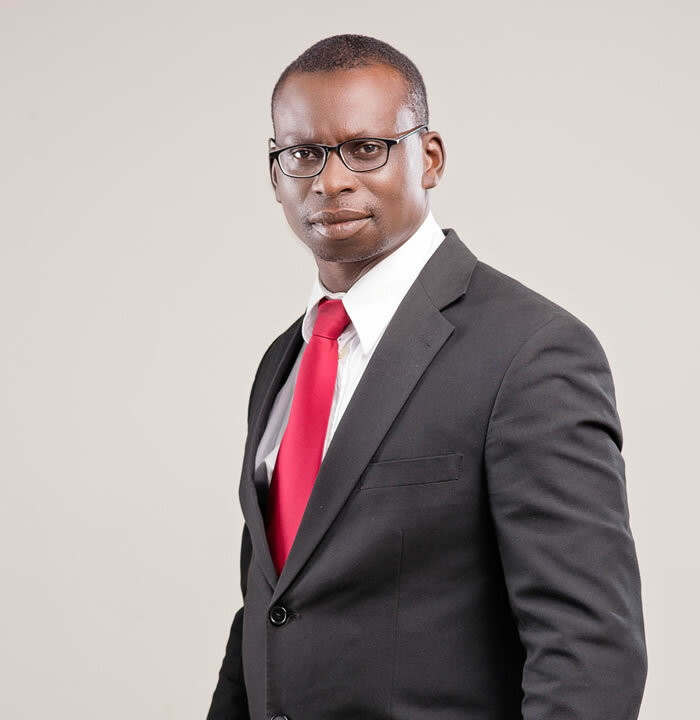 Mr. Mukoro holds a Bachelor of Science degree in Mathematics from Delta State University, Abraka, PGD in Computer Science and also an Alumnus of Harvard Business School USA. He also graduated as the best student (distinction) in Mathematics/Chemistry from the College of Education, Agbor. Mr. Mukoro is widely travelled and happily married with children. Vincent Chiedu is the Group General Manager, After Sales and Spare Parts for Coscharis Motors Ltd. He is an automobile engineer with over 20 years local and international industry experience. He possesses a Bachelors degree in Mechanical Engineering from the University of Benin and an Associates Degree in Automotive and Diesel Technology from the Universal Technical Institute Phoenix, Arizona USA. He currently has an MBA in Innovation, Enterprise and Circular Economy in view from the University of Bradford, UK. He is a full member of the Nigerian Institute of Management (Chartered) and the Chartered Management Institute (UK). Vincent started his career as a technical trainee at General Motors Ltd, Oregun, Lagos. He has worked in Nigeria in Automotive After Sales Management with such OEMs and independents like Socchi Universal Autos, Metropolitan Toyota Motors, Subaru Motors Nigeria Limited and Pro-Advance Global Concepts Ltd. In his current position, he oversees Aftersales support for all the 7 OEM brands and their models in the Coscharis stable which include BMW, Jaguar, Land Rover, Ford, Rolls Royce, MG and Joylong. He is known as the 'go to guy' for Automotive After Sales support. Mrs. Margaret Okoli-Anaba, a system analyst was born on 15th October 1953. She is from Anambra State of Nigeria. She did her elementary and secondary schools in Nigeria before she travelled to United State of America for further studies. At USA, she was educated in University of California, San Diego, United States of America where he studied Computer Science. She also obtained Master degree in Management and Information System from Ohio State University, Ohio United States of America. Mrs Okoli-Anaba is a system analyst in the USA with close to three-decade experience and has been living in the USA. She is a non-executive director of Coscharis Motors Limited and she is married with children. Dr. Charity N Maduka is a Non - Executive Director and a Medical Doctor by profession. She obtained her bachelors degree in Medicine and Surgery in 2013 from the University of Lagos. Had her house job at the Nigerian Army Reference Hospital, Yaba from August 2013 till 2014 after when she proceeded to have her National Youth Corps Service at the Nigerian Medical Services, Falomo, Ikoyi in 2015. Passionate about health and lifestyle, she is actively involved with outreaches, counseling and various medical trainings with the President's Emergency Plan for Aids Relief (PEPFAR), funded Aids Prevention Initiative in Nigeria (APIN) program which have harnessed her skills in the treatment and care of People living with HIV/AIDS. Cha as she is popularly called, understands that the private sector must emerge, and be actively involved with the delivery of affordable medical services, that are of international quality and standards, and has made it one of her goals to equip herself for the medical revolution in Nigeria. If she is not in a white coat, she is indulging in her interests which include educating others on Black Hair care, the need to be financially prudent amongst other career boosting initiatives. She currently works as a Medical Officer with the Nigerian Police Medical Services, Falomo, Ikoyi, Lagos. Dr. Charity Maduka is the only daughter of Dr. and Mrs. Cosmas Maduka. 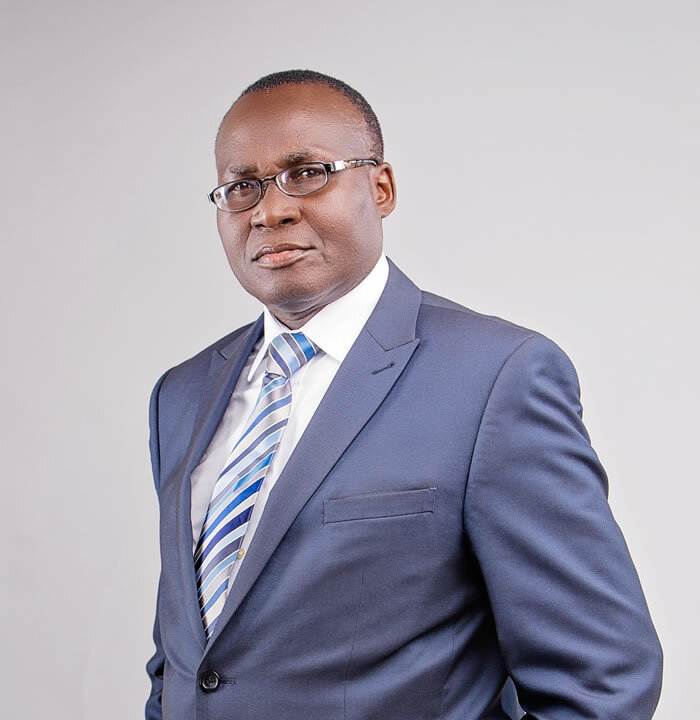 Fred Amobi is a Leader with over 25years experience covering consulting, finance, sales/marketing and general management within different sectors including FMCG, Packaging, Food and Building/Construction in diversified conglomerates and multinational organisations. 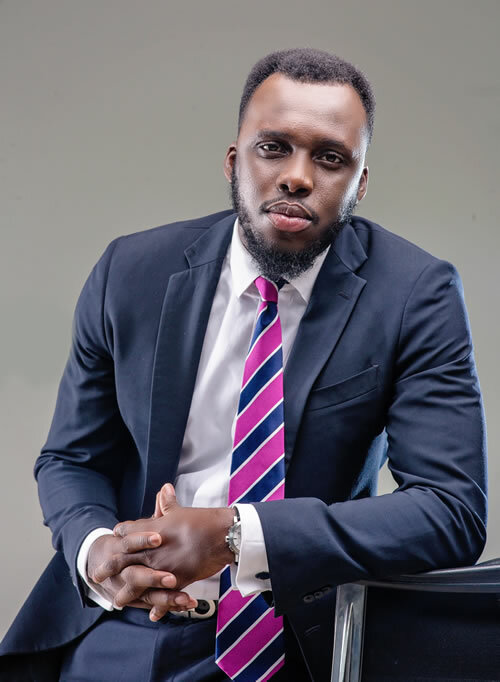 He started his career in consulting with Ugochukwu Nwankwo & Co and rose to the position of Senior Manager in charge of Assurance and Tax Services. 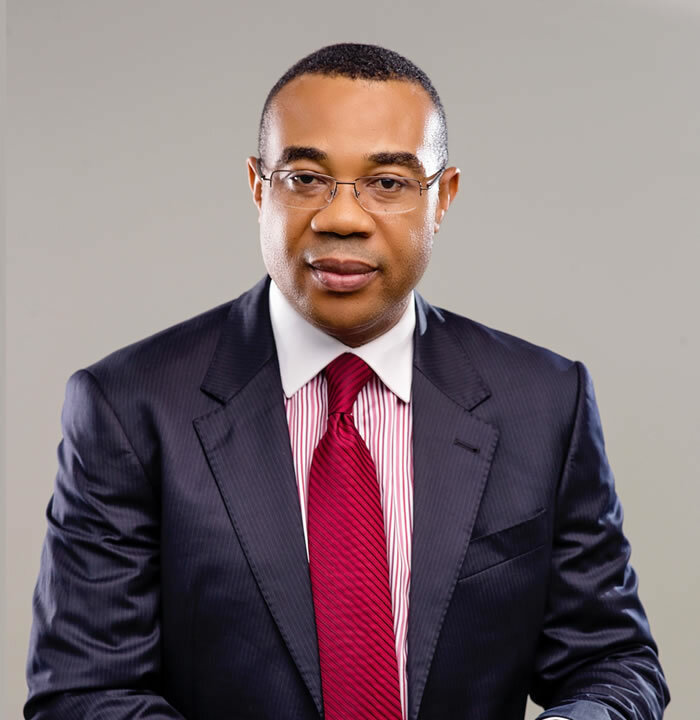 Mr. Amobi later held several senior/Executive management positions within UAC of Nigeria Plc. (UACN) including, Management Accountant, Divisional Commercial Director (BPP/Kalamazoo). He went on to represent UACN on the Board of Spring Waters Nigeria Ltd as the Finance Director of the Company. 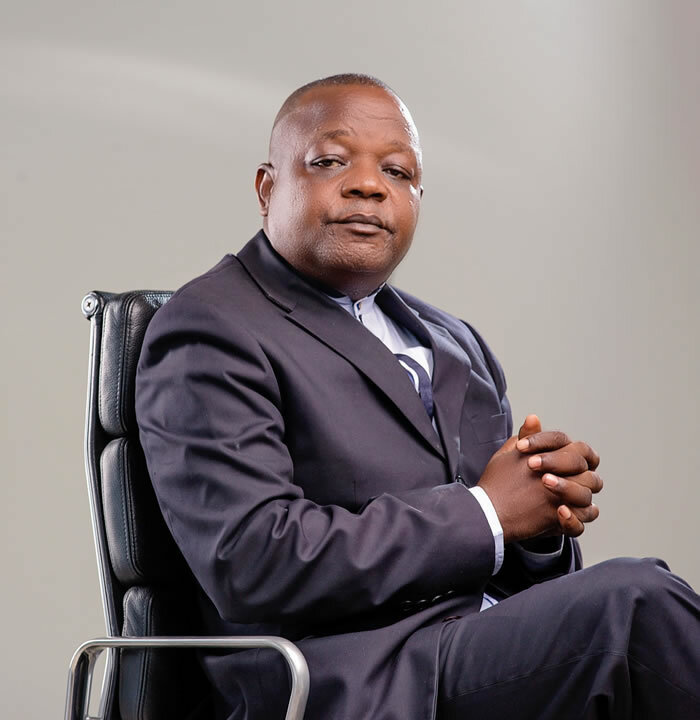 Fred later spent many years within the Coca-Cola System holding various senior/executive management positions including Head of Finance Operations and Commercial Director with Nigerian Bottling Company Plc. (a Coca cola HBC Company). His career within Coca-cola system has taken him on various international short assignment programmes in East Africa and Brazil. Mr Amobi later joined Lafarge Cement Wapco Nigeria Plc. as the Finance Director/Chief Financial Officer and was a member of the Board of Directors of the company. Mr. Amobi was reputed to be the main driver in repositioning the finances of the company which facilitated the Lafarge Group to use the company as a vehicle for consolidation of all Lafarge Businesses in Nigeria and South Africa-two African biggest Economies. This resulted in the name change to Lafarge Africa Plc. He proceeded to UK on an international assignment with Lafarge Tarmac UK and later moved to Malaysia and worked with Lafarge Malaysia. Mr. Amobi returned to Nigeria and became an Executive Director / Director, ReadyMix Operations with Lafarge Africa Plc. a position he held until he joined Coscharis Group as the Group Executive Director, Operations. Fred is a fellow of both the Institute of Chartered Accountants of Nigeria and Chartered Institute of Taxation of Nigeria. He graduated with a Distinction in Accountancy from the Institute of Management and Technology, Enugu. He also holds a Masters Degree in Business Administration from Enugu State University of Science and Technology.Mr. Amobi has attended many senior and executive management programmes at both Harvard Business School and Management Center Europe. He is a widely travelled executive who has spoken in many international investors conferences within Africa, USA and United Kingdom. Mrs. Charity N. Maduka is the Vice - President of the Coscharis Group since its inception as the co - owner of the conglomerate. In her capacity, she was once the Executive Director supervising the Administrative, Legal, Works / Maintenance, Export, Technologies teams of the organization from 1984 - 2003. Under her tutelage, she was able to grow the business by creating value via the various strategic departments she supervised within the organization. As a board member of the group, in the year 2005, she later became the Executive Chairman / COO of two of the subsidiaries of the Coscharis Group namely Coscharis Beverages Limited and Coscharis Properties Limited respectively which she manages till date. Mrs. Charity N. Maduka is a trained professional teacher and caterer. She attended Teachers' Training College, Nsugbe in Anambra State from 1979 - 1981. Also attended Consertum Institute of Catering and Hotel Management, Idi - Araba, Lagos State from February - July, 1983. She had a brief stint as a teacher at Akamili Central School, Umudim - Nnewi between October - December, 1981. Also at Tolu Primary School III, Tolu Village, Ajeromi Ifelodun / Apapa, LGA, Lagos between January 1982 - January 1983. She has equally attended various Leadership and Entrepreneurship training seminars / courses both home and abroad. She is happily married since 1978 to her soul - mate in person of Dr Cosmas M. Maduka, the President / CEO, Coscharis Group and blessed with four wonderful sons and a daughter who are all intelligent children poised for greatness in life. Mrs. Ngozi Ozobialu was born in Orlu, Anambra State on 21st July 1947. She started off her career as an account officer with the Ministry of Defence for eight (8) years before moving onto Coscharis Group, where she started off as a pioneer accounting officer in February1984. 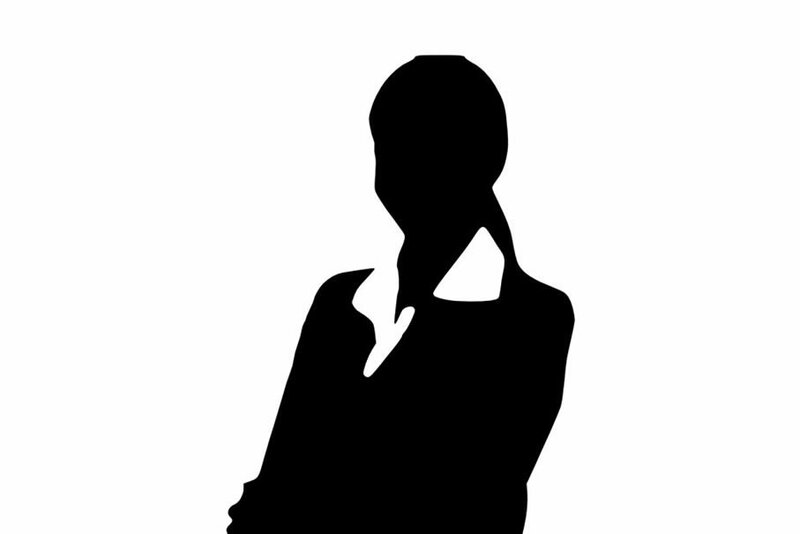 She thereafter rose in ranks as a result of her integrity in relation to money to the position of the Group Treasurer and within a numbers of years had various other management promotions including Group Director General, Group Financial Director and subsequently the Executive Director (Chief Operating Officer) a position she held for several years. Mrs. Ozobialu over years of active management duty acquired and demonstrated extensive knowledge and business acumen. She attended several professional Finance and Management courses, workshops and seminars and is a certified Total Quality Management (TQM) manager. Mrs. Ozobialu is presently a non-executive director of Coscharis Motors Limited engaging her time in managing her own business. She is a widow with adult children and several grandchildren. Sir Edmund Ngonadi was born on 28th January 1940 at Nnewi in Anambra State of Nigeria. He was educated at Enitona High School, Port Harcourt. He was later trained at Institute of Salesmanship from 1962 to 1964. Sir Ngonadi's success is an interesting story. His resolve to succeed in life against all odds started when he worked as a Store Assistant in Kano. Between 1964 and 1968 he worked as Manager of Exxon West Africa Filling Station in Kano and later at Wharf Road, Port Harcourt before setting up his own business in 1969. His business interest includes Automobiles, Agriculture, Estate and so on. He is a member of the Board of directors of Coscharis Motors Limited among other companies. Sir Ngonadi is a religious man and was conferred as a Knight by the Anglican Communion. He is married with children.